ITT Corporation (NYSE:ITT), White Plains, NY, has acquired all of the outstanding shares of O.I. Corporation (NASDAQ:OICO) for approximately $29 million. 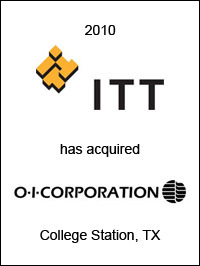 Based in College Station, TX, OI is a leading provider of innovative instrumentation for laboratory and environmental testing in the pharmaceutical, petrochemical, power and industrial markets. OI specializes in innovative total organic carbon (TOC) analyzers and gas-chromatography related instrumentation, as well as consumables and services. OI’s portfolio will enhance ITT’s Analytics business, which was formed earlier this year with ITT’s acquisition of Nova Analytics. 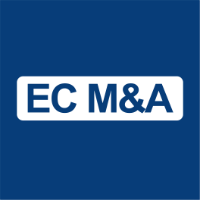 EC Mergers & Acquisitions acted as exclusive financial advisor to ITT Corporation on this transaction.